Numerous Qabbani poems have been set to music and sung by Fairuz, Latifa, Abdel Halim Hafez, Umm Kulsoum and others. Many are available in English translations (of varying texture and interest) online. And the sound of tumbling jewels. Every tongue. Take off your clothes. And the size of my love. And to leave my lips. Like white chicks jumping from the magician’s hat. 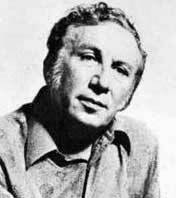 Many more Qabbani poems are available on “Poem Hunter,” although the translator is not credited (and originals not provided), which always makes one uneasy. Wow. With all the free publicity you’re giving me, I just might buy ads on my site. Free publicity, free content. It’s all good, no?